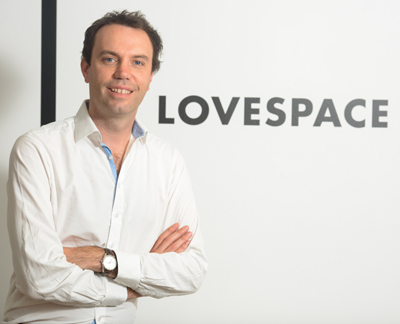 LOVESPACE, a distinctive storage company founded by Streetcar co-founder and entrepreneur Brett Akker, has attracted major venture capital firm, DN Capital, alongside the crowd to help raise £1.6m on equity crowdfunding platform, Crowdcube – the second largest amount raised on the site behind Hab Housing. LOVESPACE, which was named one of the UK’s top-50 most disruptive companies, is the first storage-by-the-box company in the UK, helping customers to ‘live a bigger life, one box at a time’. Raising an additional £1m over its original target of £600,000 in just 12 days, the company saw its largest single investment of £250K come from one of Europe’s leading venture capital firms and major Shazam investor, DN Capital. Brett Akker joins a growing list of proven and high profile entrepreneurs using Crowdcube to raise money, including Steve Smith, founder of Poundland who raised half a million pounds last month for his latest venture, online estate agency EstatesDirect.com. Other high-calibre entrepreneurs include Mark Henderson of Gieves & Hawkes fame who also recently funded on Crowdcube with his latest venture, The New Craftsman, offering high quality handcrafted products made in Britain. “When hugely successful and respected industry figures like the founders of Streetcar, Poundland and Gieves & Hawkes turn to crowdfunding, you know that this is not just a one-off – long may it continue,” adds Luke Lang. 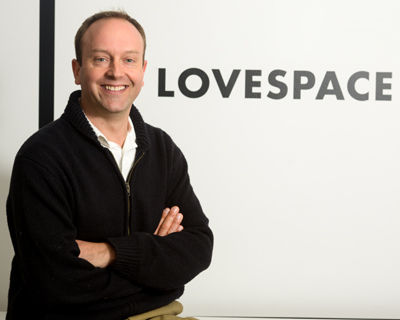 LOVESPACE, which has stored a total of 10,000 boxes for nearly 2,000 customers, raised additional funding to increase their warehouse space to over 20,000 square feet and invest in additional marketing activities and technology to increase the efficiency of the business. The company will be expanding its fleet and increasing the number of drivers, customer service experts and developers in its workforce.